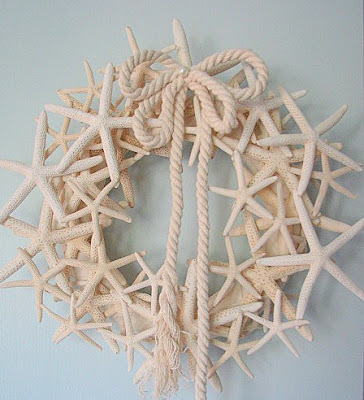 This ivory white starfish wreath is a creative mix of dozens of finger starfish on an ivory muslin base. Soft colors and natural textures are a great reminder of a warmer place. I will be dreaming of white sand beaches and crystal blue waters this holiday season. Find it at Beach Grass Cottage.